Which composite decking is right for you? PVC, Capstock or traditional composite? 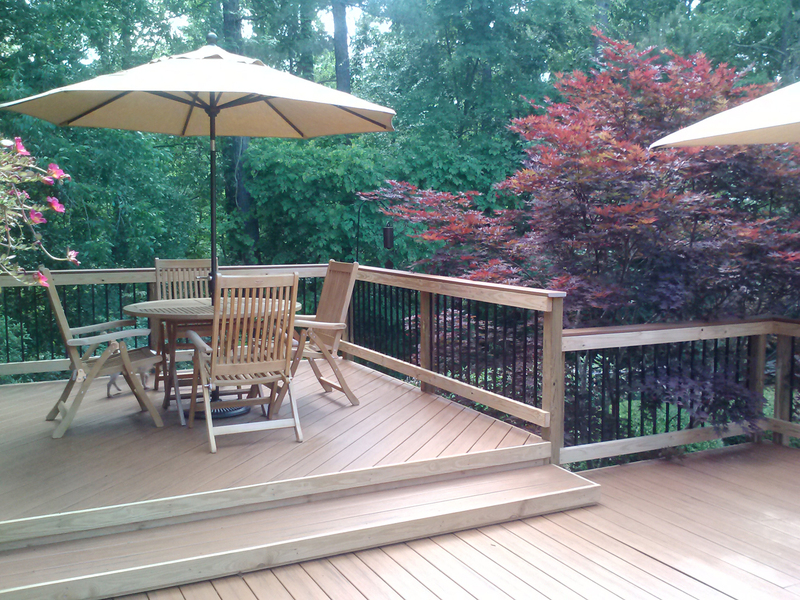 What is the perfect decking board for your Central GA deck? Twenty years ago, there were just one or two choices for your deck – pressure treated pine wood or perhaps a wood that was just a little fancier such as cedar. Now there are exotic hardwoods along with a number of synthetic options. Here are some ways to choose the best decking material for your new deck, porch, or other outdoor project. Do you like to clean, paint, stain and seal? Do you like it a lot? There’s no way of getting around it. 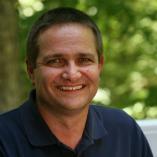 If you have a natural wood deck, you will need to do routine maintenance on it. How routine? Perhaps it’s one time each year. Perhaps it’s every 18 months. But, all wood decks need maintenance. If your deck has full exposure to the sun based on the orientation of your home and the number of surrounding trees, you are going to need maintenance more frequently than others whose deck has more protection from the harsh effects of sun on wood. If your deck is surrounded by trees, that may present the challenge of wet foliage hanging out on your wood deck too long. Can you get out of cleaning, staining and sealing? Yep. You sure can. While most choices have a good, better, best selection; with maintenance it’s fairly cut and dry. Wood: maintenance required. Synthetic: no maintenance required. Now this doesn’t mean that drops and splatters will automatically disappear if dropped on synthetic decking. 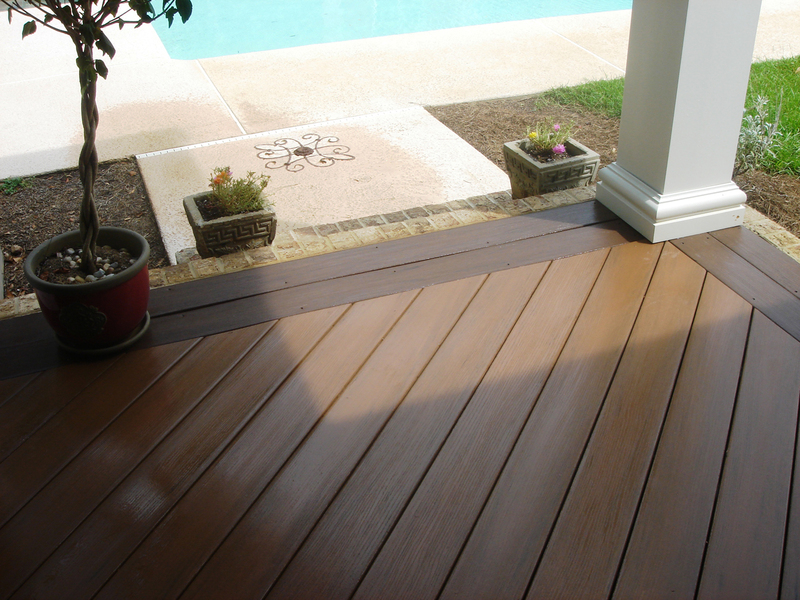 Anything spilled or smeared or sprinkled upon your synthetic deck will need to be removed. If your dog drags mud across your deck, it will need to be cleaned up with water and possibly a gentle sponge. If your hamburger or hot dog share some ketchup or mustard with your deck, you’ll want to wipe them up the same way you would on your kitchen floor. If you’re reading this, you probably are thinking about going with low maintenance decking. If you’ve started to do some research, you’ve probably realized that there are quite a few options. Not only are there different brands such as TimberTech, AZEK, Trex and Fiberon; but there are different types of composite at different prices. The first low-maintenance board to come out was called “composite” because it contains a combination of synthetic resin combined with wood fibers. As you can image, there are many different ways composites can be made. When it first came on the market 20 or so years ago, it had some problems with mold but those problems are long in the past. Today’s companies have identified the right mix of materials to create a great decking board and it comes with a 25 year warranty. These warranties may differ only a little from one manufacturer to the next but the protections afforded by the warranties protect against material defects and the aging woes of wood including checking, splitting, splintering, rotting or fungal decay. There is one protection that the upper end all-synthetic boards enjoy which is warrantied stain and fade protection. As we noted, if you clean up and wipe away spills and messes, you should not need to worry but for warrantied stain and fade protection, PVC is your best choice. If composite is a great option, PVC is the big daddy. As mentioned above, the warranty includes protection against material checking, splitting, splintering, rotting, termite attacks, fungal decay and even warrantied protection against fading and staining. What’s the drawback? You guessed it – price. Because there are no natural fibers, all of these protections can be afforded and warrantied. But the synthetic resin is a good bit more expensive than wood fibers. So, the top of the line product does have pricing at the top end of the synthetic decking price spectrum. A product called capstock is a happy medium. Capstock is a composite board capped with PVC so you get the best of both worlds. The price? As you expected, the price is in the middle but not that much higher than composite. Here in Central GA, our recommendation is Fiberon ProTect. 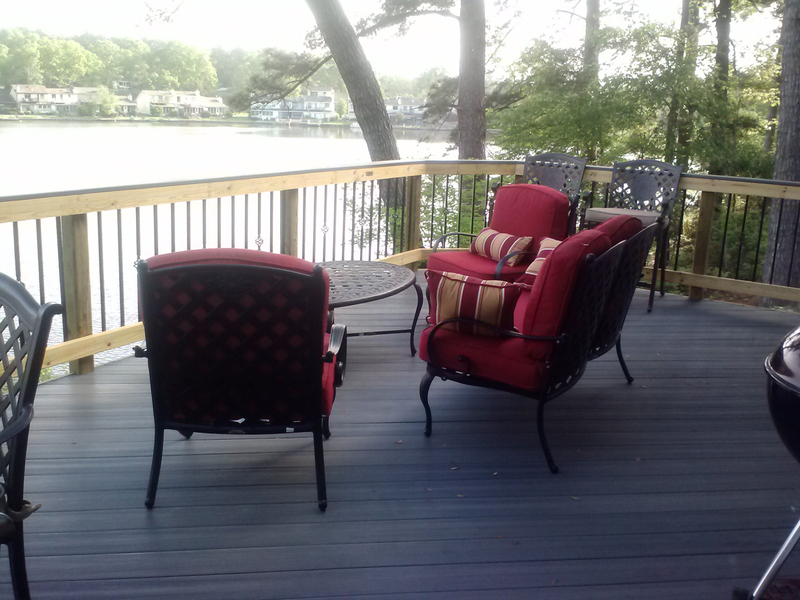 Fiberon is a top notch synthetic decking company. ProTect is their capstock board. It meets all the performance standards of a synthetic decking board for a tremendous value.